The purpose of the CODATA Task Group on Fundamental Physical Constants is to periodically provide the scientific and technological communities with a self-consistent set of internationally recommended values of the basic constants and conversion factors of physics and chemistry based on all of the relevant data available at a given point in time. The CODATA Task Group on Fundamental Physical Constants defines the policy for the treatment of data, especially discrepant data, to be used in the adjustment of the fundamental constants, addressing national, international, and diverse scientific interest. The Task Group is internationally recognized as the authoritative body in the treatment of the data in recommending the values of the fundamental physical constants. Our long-term goal is to retain this reputation. The Task Group works closely with key cutting-edge research efforts that contribute to the collection of relevant data and with key committees such as the Consultative Committee of Units to determine the impact of recent results on the proposed redefinition of the SI. The Task Group addresses the scientific objective of a better understanding of the basic theories and experimental methods of physics through the comparison of the values of the constants as obtained from widely differing experiments. The Recommended Values of the Fundamental Physical Constants for 2014 were released in July 2015 and are available from ArXiv arXiv:1507.07956v1, from the CODATA Zenodo Collection http://dx.doi.org/10.5281/zenodo.22826 and from the NIST website on 'Constants' Units and Uncertainty' physics.nist.gov/constants. The full scholarly paper providing 'the 2014 self-consistent set of values of the constants and conversion factors of physics and chemistry recommended by the Committee on Data for Science and Technology (CODATA)' was published in September 2016 in Reviews of Modern Physics https://doi.org/10.1103/RevModPhys.88.035009 and is also openly available from the NIST website. 'These values are based on a least-squares adjustment that takes into account all data available up to 31 December 2014.' The paper also provide 'details of the data selection and methodology of the adjustment'. Wallet cards of a select set of the 2014 CODATA Recommended Values are available upon request. These periodic adjustments are major milestones of the Task Group's activities and the Task Group will continue to prepare a new set of recommended values no less than every four years. The 2018 CODATA adjustment of the fundamental constants will be based on the revised SI, which will significantly affect the uncertainties of many constants. For data to be considered for use in this adjustment, they must be discussed in a publication preprint or a publication by 1 July 2018. The Task Group's working website is hosted by the Bureau International des Poids et Mésures. The site houses minutes of meetings and updates on activities. CODATA Recommended Values and literature detailing the latest least squares adjustment are available on the NIST website on Fundamental Physical Constants. The Task Group's commitment to producing a new least squares adjustment (LSA) of the fundamental constants on a four-year cycle incorporates all relevant data from diverse scientific interests and fields of research. This function primarily provides the scientific and metrological communities the most consistent set of the values of the fundamental constants and conversion factors used in physics and chemistry. Moreover, performing an analysis over a broad spectrum of experimental and theoretical information relevant to the constants has important value. In general, such an analysis may uncover errors in theoretical calculations or experiments; it reevaluates uncertainties so that all are expressed in a consistent manner (i.e. standard uncertainties); it identifies inconsistencies among results and weaknesses in certain areas of research; it stimulates new experimental and theoretical work due to inconsistencies; and it summarizes a large amount of rather diverse information in one place. These values contribute to the high profile of the Task Group's LSA and the Group's continued reputation as the authoritative source for the best determination of the fundamental constants. The review articles of each LSA are very highly cited and contribute significantly to CODATA's international reputation. It is now universally accepted by all of the concerned groups that the Task Group’s recommended values will be used in the proposed changes of the International System of Units (SI). These changes to the SI are the most profound in over a hundred years and this emphasizes the accumulated impact of the Task Group activities and promises to enshrine that contribution for generations to come. For the period of 2017 and 2018, the TGFC will have two important deliverables: the 2017 special CODATA adjustment and the 2018 CODATA adjustment of the fundamental constants. As agreed with the Consultative Committee for Units (CCU), the TGFC will perform a special adjustment in 2017 of all available data for the determination of the values of the defining constants that will be the foundation of the revised International System of Units (SI) that is expected to be adopted in 2018. Due to the timeline for adopting the revised SI, to be considered for the 2017 special CODATA adjustment all relevant input data must be published or accepted for publication by 1 July 2017. In preparation for the 2017 CODATA Special Adjustment, the TGFC has modified the LSA code and is adding new input data as they become available. Drafts of a summary and a detailed report of the 2017 CODATA special adjustment have been circulated among the TGFC members for input and comments concerning the structure, selection, and treatment of input data. The chair of the TGFC has been in communication with the editors of Metrologia and they are expecting submission of the two completed documents by August 1. It is expected that after critical review, the summary and report will be accepted for publication such that they can be posted and made publicly available before the 23rd CCU meeting 5 – 7 September, 2017. The next regular CODATA four year cycle adjustment of the fundamental constants will be the 2018 adjustment with a closing date for input data of 31 December, 2018, with the relevant data in publication or preprint form as usual. The results will be made available by 20 May 2019 (World Metrology Day) when the revised SI is to be implemented. The 2018 CODATA adjustment is unique in that it will be the first adjustment of the fundamental constants in the revised SI with much more accurate values for almost all the fundamental constants. David Newell received his B.S. in Physics and B.A. in mathematics from the University of Washington and his Ph. D. in Physics from the University of Colorado. He was awarded a NRC post-doctoral fellowship to work on the NIST watt balance project in Gaithersburg, MD, and became a full time staff member in 1996. In 2000 he joined the NIST Microforce Realization and Measurement project for measurement and realization of micro- and nano-scale forces traceable to the SI system of units. From 2004 to 2010 he assumed the responsibilities as leader of the Fundamental Electrical Measurements group of the Quantum Electrical Metrology Division and in 2006 he joined the CODATA Task Group on Fundamental Constants. He is currently working with a NIST team constructing a new watt balance to realize the kilogram from a fixed value of the Planck constant. 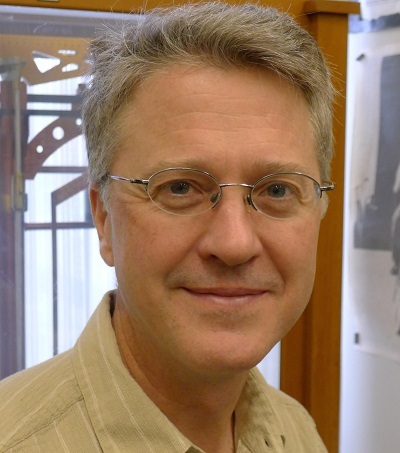 He is a member of the American Physical Society, the Philosophical Society of Washington, and chair for the CODATA Task Group on Fundamental constants. 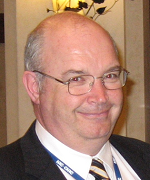 Barry Wood received his PhD in physics from the University of Toronto in 1981 and then joined the Electrical Standards group of the National Research Council in Ottawa, Canada. Since that time he has been involved in various electrical measurements including the Josephson effect, the quantum Hall effect, cryogenic current comparators, impedance standards, the calculable capacitor and the watt balance. He is the present Vice-Chairman and former Chairman of the CODATA Task Group on Fundamental Constants and the Chairman of the Consultative Committee of Electricity and Magnetism's working group on proposed changes to the SI. He was also Chairman of the US National Academies’ 2006 review panel for the Electronic and Electrical Engineering Laboratory of the National Institute for Standards and Technology (NIST).